PACIFIC OCEAN. 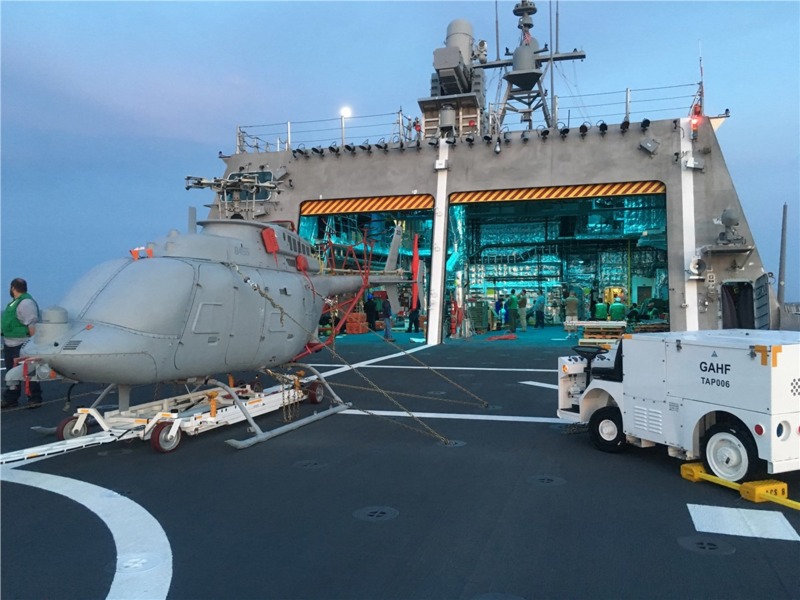 U.S. Navy officials announced the newest unmanned helicopter, the MQ-8C Fire Scout, began operational testing onboard the USS Coronado (LCS-4) this week off the coast of San Diego. This phase of testing will focus on the MQ-8C Fire Scout's ability to operate concurrently with other airborne assets and littoral combat ships. The enhanced capability will provide commanders an improved and integrated intelligence, surveillance, and reconnaissance (ISR) picture. The operations are a continuation of MQ-8C operational testing that began in April. Fire Scout operations are a whole-ship effort, requiring effective coordination between the aviation and surface entities aboard. "Whether it is ensuring that the data links required are functional, fire team personnel are standing by to respond, or managing the airspace and contact pictures; every single Sailor plays a role in Fire Scout operations," says Lt. Josh Riley, the ship's combat systems officer. "These Sailors and this testing will help shape how the surface force will utilize the strengths and advantages that this valuable asset brings to the table in the coming years." Coronado is one of four designated LCS testing ships and the ship's commanding officer, Cmdr. Lawrence Repass, says he and his crew are excited to help further advance Navy lethality.